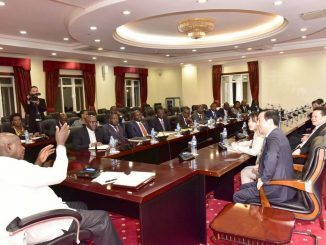 President Museveni with Chinese investors at State House on Sunday. Courtesy Photo/PPU. Under the MOU signed at State House in Entebbe on Sunday in the presence of the Chinese ambassador, H.E. Zheng Zhugiang, the investors are expected to bring 400 buses. 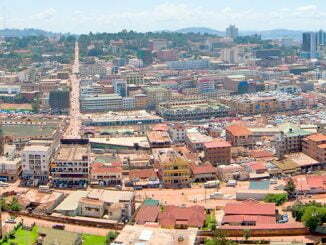 “We should rationalize Kampala’s transport system. The Kampala Metropolitan Rapid Bus Transport project is a necessity. 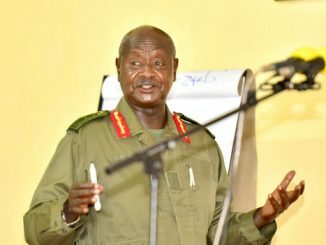 We should not continue to have so many cars with limited capacity,” Museveni said. Although Museveni promised to sit with taxi and boda boda operators to chat away forward for all parties, KCCA councilors say he should have consulted stakeholders before signing the agreement. Kennedy Okello, the Nakawa II Councilor says mass transport is the way to go but says the president is doing things in a haphazard manner. He says bringing buses requires planning and consultations before signing a memorandum of understanding. Doreen Nyanjura, the Makerere University Councilor, says what Museveni did is absurd because many taxi operators and boda – boda riders will lose income and become unemployed. Burhan Byaruhanga, the Kyambogo University councilor, says the bus project is good in Kampala and should be supported by everyone including politicians and taxi operators.